Our LED displays are a perfect choice for all council and government applications that need a fast, solid, reliable and efficient way of providing all important information to the local community. Our LED screens offer a wide variety of sizes, power supply levels, etc. We offer only the newest and the best quality materials as well as the newest technology. We provide both indoor and outdoor LED signage. 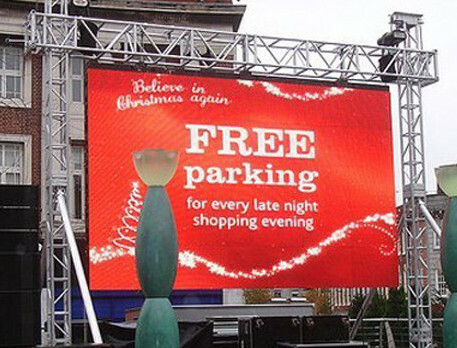 Our LED signs can be used for various council applications such as plain advertisement devices, promotions, exhibitions, community events, school events, job offers, or the particular town/city area parking restrictions, directional guidance, open hours, time and date, weather conditions, etc.